mythisandthat2012 has no other items for sale. 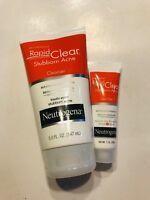 Details about NEUTROGENA RAPID WRINKLE REPAIR, & BROAD SPECTRUM SPF30! BRAND NEW! FRESH! This product is incredible. I have spent my entire adult life, I'm 67, in the Nevada desert sun. As a result I have developed some facial skin wrinkles. Within 8 days of starting to use this product, the wrinkles tightened up to the point they are nearly invisible. I'm a man. We never take care of our skin. So, you see, I'm that much more surprised that it had such a drastic effect in such a short time. I'm sold! I purchased this product and used it for approximately a week. I didn't like how it felt on my face and it did irritate it a little. It's probably not the product but my sensitive skin. I gave it to my sister. I think it's a great value to get 3 products that work together for one low price. I've been using it Day & night, but really don't notice any lines diminishing. I'm not wrinkled, but I do have the "smoker's mouth" lines, which are still prominent. I also notice that the day serum peels after I apply my make-up (Bare Minerals) it's not caking, literally peeling. It also stings at first. Don't know if I'll reorder. Neutrogenia night cream does the job of keeping my skin wrinkle free and youthful looking!!!! been using it for years...has no odor and a little lasts quite a long time. 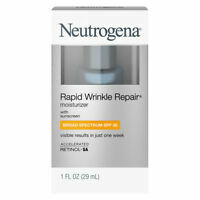 i have tried much more expensive products, and find that Neutrogenia does a great job for my skin. I have no wrinkles, as yet, and I suspect that this night cream is helping me stay wrinkle clear!!!!!!!!!!!!!!!! I have used this product for some time. It really helps to moisturize my skin and smooth out lines - it is my favorite. 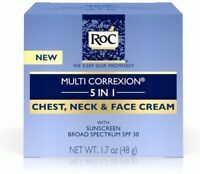 I especially like having the combination -a night cream plus the day cream which contains the sunscreen. I hope that will not be changed.